5 bags of kit arrived at my place this morning so I will do some sorting tonight and will have it available for collection at Dome Westralia Plaza after tomorrow’s ride. Cannibal have informed me that there is an issue with socks (they were supplied an incorrect item by their supplier), so if you have socks on this current order you may be waiting just a little while longer to get those. 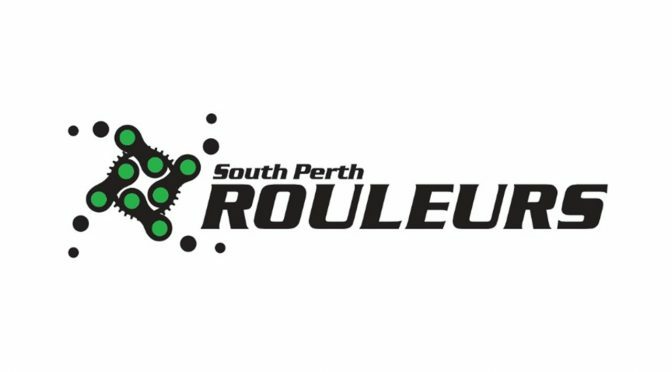 Some socks have shipped, but if yours are missing (or any other item for that matter) please email me at kit@southperthrouleurs.com.au. The Medium I picked up this am is too small. I’ve sent an email. How do I swap for a large? The email hasn’t come through…can you please send it again. Resent. Was under my drafts. If you want to sell the Medium I am interested. But I better wait for a reply from Andrew on a possible swap for a large otherwise looks like I will be without a top for another three months. You are on Peter. Apparently SPR does not offer a swap option. I’ll be in touch directly.